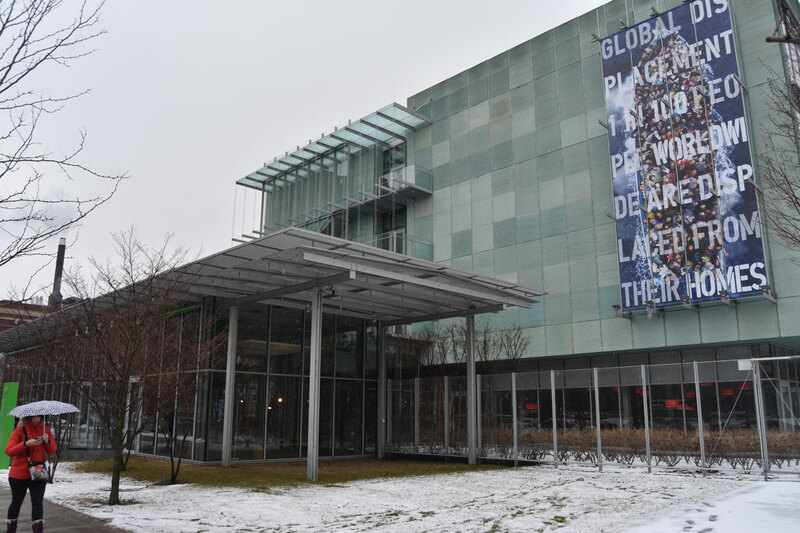 On Tuesday morning, Boston’s Isabella Stewart Gardner Museum hung a new three-story tall banner on its Evans Way façade. “Global Displacement 1 In 100 People Worldwide Are Displaced From Their Homes,” it reads. And under the text is what appears to be an aerial image of hundreds of people crammed into a boat at sea. Most of them look up, smiling. Barry is a New York-based installation and video artist who has long commuted to work in Cambridge. She was until recently a professor and director of the MFA Visual Arts Program at Lesley University’s College of Art & Desgn and is now a professor and director in the Art, Culture and Technology Program at Massachusetts Institute of Technology. 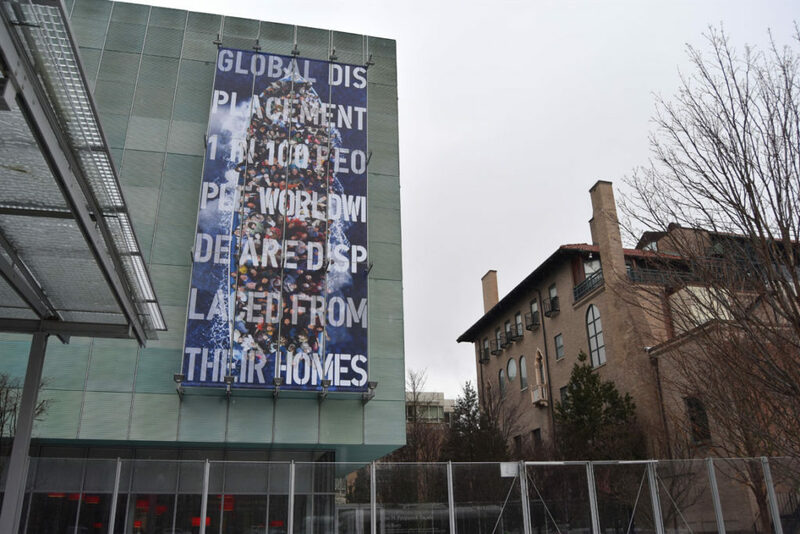 For the Gardner façade, “The imagery certainly started off based in some of the imagery of the refugee crisis,” Barry says. 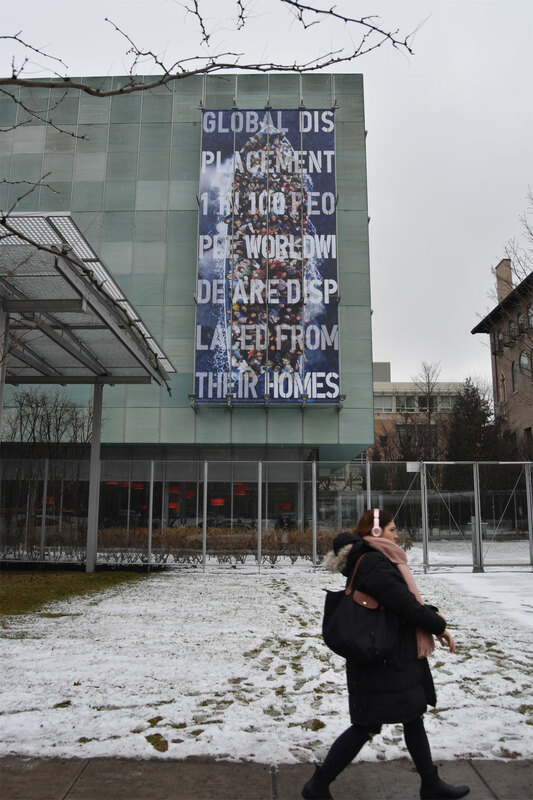 “Because we needed to blow it up to 32 feet, I needed to change out a lot of the actual imagery.” The problem was the actual refugee images she’d found online got too blurry when enlarged. So she took her own new photos of individuals and small groups and put the people all together in a refugee boat via digital collage. She means, of course, that people in the United States often look up and smile. 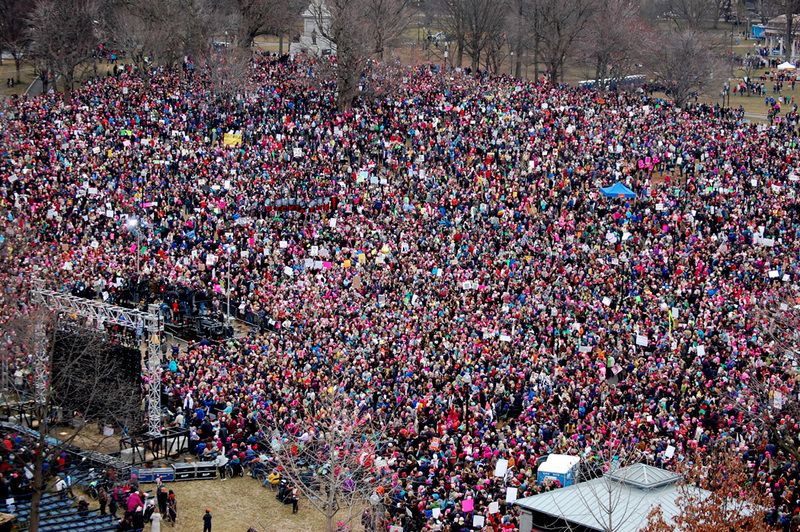 Folks in other places have been known to have different responses to drones.